​Astronomer 4 Hire offers planetarium programs in the AstroDome Planetarium. The AstroDome is an inflatable portable planetarium with a digital projection system. The AstroDome web site is located here. 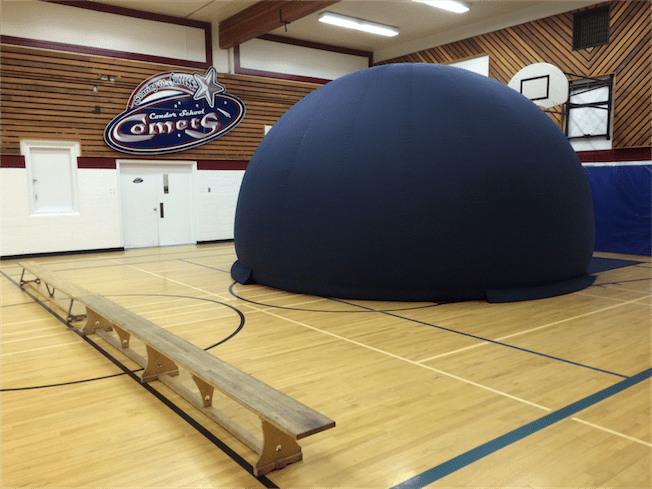 There are planetarium programs for all ages, including school programs that cover many of the learner outcomes for Grade 6 Sky Science and Grade 9 Space Exploration. Astronomer 4 Hire provides customized tours of the night sky for individuals or groups. The astronomer can either come to you or you can meet him under the stars at a dark-sky site located about 100 kilometres southeast of Calgary, Alberta. 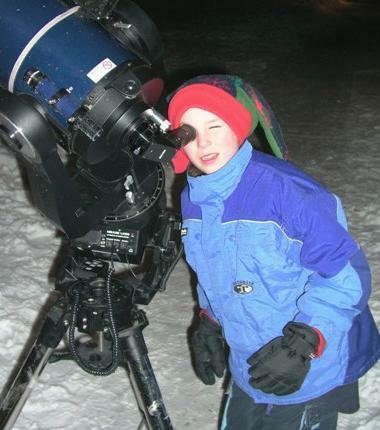 Tours of the Night Sky are most often conducted for Youth Groups (Cubs, Scouts, Brownies, Guides, 4H) and School Groups. They can also be conducted at birthday parties, community events, or fund-raising events. Private night sky tours are also available for couples celebrating a special occasion. Astronomer 4 Hire also offers daytime solar observing sessions. View the Sun safely with a properly equipped telescope. Daytime astronomy sessions can be conducted at corporate events, family picnics, community events, and weekend celebrations. ​Astronomer 4 Hire also offers customized indoor educational presentations on most any astronomical topic, such as the solar system, stars, constellations, telescopes, asteroids, comets, extrasolar planets, and the Moon. So, it doesn't matter if you're teaching Sky Science (Grade 6) or Space Exploration (Grade 9), the astronomer can visit your classroom and provide your students with a customized presentation that includes some demonstrations and hands-on learning.